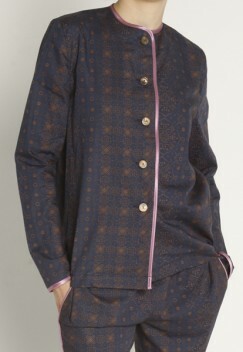 IVR`s Pyjamas Haarlem for women. 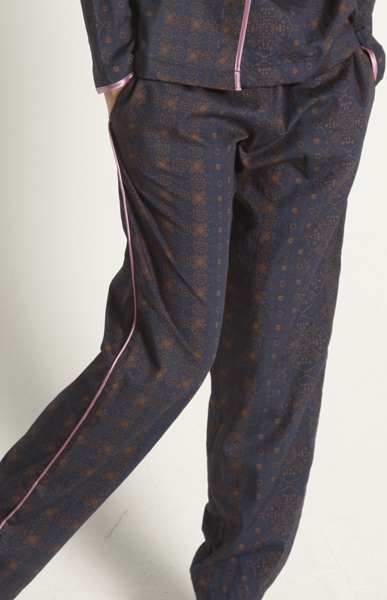 Classic lines with contrasting color piping on the side of trousers. The elegance and boldness come together in this timeless piece of nightwear.